Took a little vacation from the computer and the blog a few days and spent them with my youngest daughter. Absolutely amazing days we have had , despite the lack of snow and cold. Shopped , ate and just had a good time . So now that she ‘s gone so I took a shopping day. Love to browse and search of new things to discover. Loves to find bargains too of course. Of course I went to see my absolute favorite store, all categories, Duå. Here you can talk food and cooking at the highest level. But it does not matter, you dont have to have a big wallet to shop there. Oh no it’s really for everyone. Here I tend to spend hours and find my findings. And one gets always good ideas and they are really very helpfull. All are professional chiefs, so they know what they talking about and the things they sells. Tonka beans was such that I found there was really a big hit. I know they are very hard to come by but I will be happy to send them if you want it . Long Pepper ! What a wonderful season . Now I’ve finally got hold of it. Looked really after , but online there is nowhere but thankfully the guys at Dua had it. It was the pepper started to be imported to Europe in the 1500s. But was later replaced by the cheaper black and white pepper. Its still a very rare spice here in Europe but I hope that will change soon. It has a wonderfully smoky aroma. Looks nothing like what one thinks of when one thinks pepper. They have long catkins which, when cooked in such a pot, swell and secrete its aroma. Adding it at the end of the cooking process and one can usefully eat it. Recipes and pictures coming. ooh! Excited to read what you make with this special ingredient. 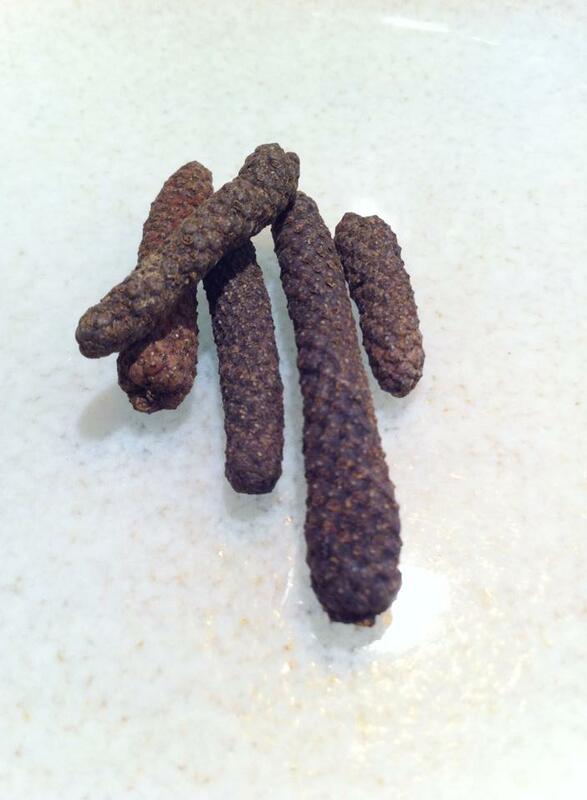 we have never seen long pepper before. thanks for sharing!